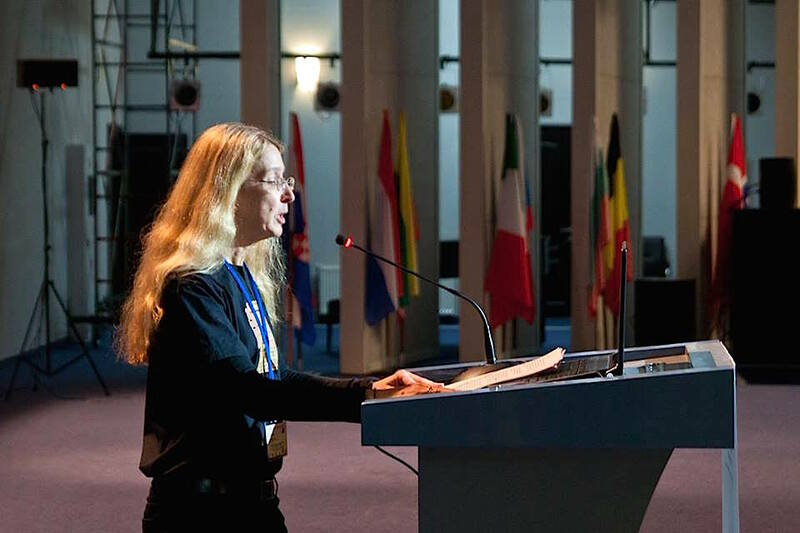 Opening statement by Dr. Ulana Suprun, Director of Humanitarian Initiatives of the Ukrainian World Congress at the first international conference “The Development, Standardization and Implementation of Tactical Medicine in Ukraine” at the Ukrainian House, January 19, 2015. Good Morning! Glory to Ukraine! A year ago, many of us here today, together with hundreds of thousands of Ukrainians took to the streets on Independence Square, the Maidan, to protest against the shameful dictatorial laws adopted by Ukraine’s Parliament backed by the Yanukovych regime on January 16, 2014. Three days later, on January 19, the battle on Hrushevsky Street began and on January 22, the Maidan, the Revolution of Dignity witnessed the first deaths due to gunshot wounds. Serhiy Nihoyan. Mykhail Zhyznevsky. Those deaths and the nature of their wounds were a harbinger of things to come. From Feb 18-20 over 100 protesters would die from sniper rifles and beatings that brought about the formation of the Heaven’s Company [also known as the “Heavenly Hundred”]. Less than a month later, on March 18, ensign Serhiy Kokurin was shot in the chest when Russians stormed the Ukrainian Chief Direcorate of Operational Support for the Armed Forces of Ukraine in Simferopil. Captain Fedun was also injured in his arm and neck and one more soldier was savagely beaten. Their attackers wore Russian uniforms without insignia. Serhiy left behind his then pregnant wife and four year old son. And the number of dead increased as many of Ukraine’s best patriots volunteered to defend their country from invasion without even the most basic items like body armour. More to the point, almost no one was trained in how to use those elementary first aid items like a combat application tourniquet. All of these events led to the need for the immediate implementation of tactical medicine in Ukraine, that is care under fire, tactical field care and treatment of battle-related injuries, such as gunshot wounds, injuries from shrapnel and explosive devices, burns, and others. The events of February 18-20, Heaven’s Company, the annexation of Crimea by the Russian Federation, the war in Donetsk and Luhansk oblasts, together with the terrorist acts in Volnovakha, Odesa, Kharkiv, Kyiv and other Ukrainian cities, including the shooting down of Malasian Airlines flight MH17 in July 2014, underscore the need for training and standardization of tactical medicine and the availability of first aid equipment specifically designed for combat conditions. From open source materials, from the start of the annexation of Crimea in February 2014 through December 2014, that is over the span of 11 months, over 1420 Ukrainian warfighters have been killed, or roughly speaking 129 deaths per month. For comparisons sake, between Jan.1, 2002 and Nov. 26, 2014, that is, over the span of 143 months, there have been 3,387 coalition deaths in Afghanistan, or roughly speaking, 24 deaths per month. Clearly, not every conflict or war is the same. Different tactics will be employed by different terrorists groups, be they the Taliban or the terrorist organizations sponsored by the Russian Federation, like the Donetsk People’s Republic or the Luhansk People’s Republic, but the end result is the same: people who are defending freedom and the values of western and European civilization, those values embodied in the Atlantic Charter over 70 years ago, are continuing to die today. Our response has to be simple: to better prepare, train and equip those men and women who are willing to lay their lives down in defence of those ideals. 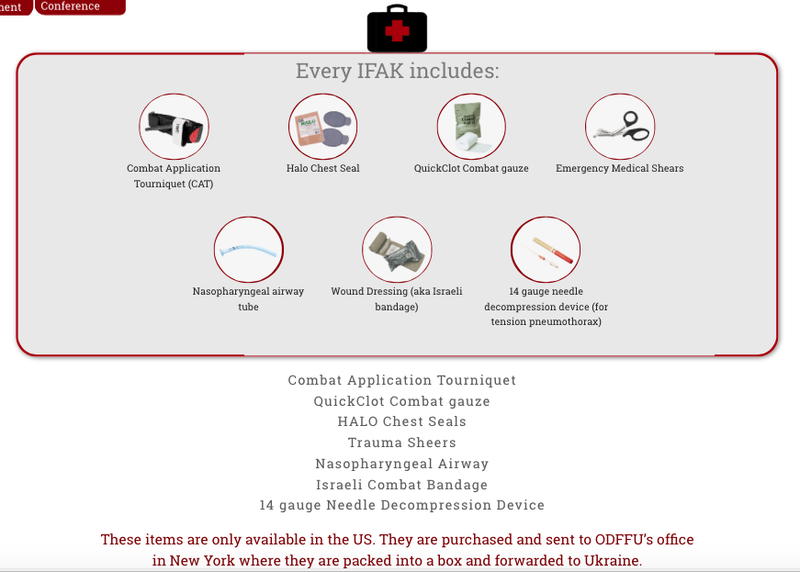 The Ukrainian World Congress Humanitarian Initiative “Patriot Defence” was launched in May 2014 in response to a specific need: we decided to professionally train Ukrainian warfighters according to NATO standards; to train them in providing first aid under combat conditions, that is, teaching adapted Combat Lifesaver courses and providing everyone trained with an IFAK (an individual first aid kit). The program is financed by donations from Ukrainians and others in Australia, Canada, the United Kingdom, the United States, Czech Republic and many other countries around the world as well as from Ukraine. In 2014, over 1.3 million dollars was donated. As of today, we have trained 12,157 Ukrainian warfighters in adapted combat lifesaver courses, including those from: the Armed Forces of Ukraine, regular Army and Special Forces, the Ministry of the Interior, (including the National Guard), the Security Service of Ukraine, the State Border Guard Service of Ukraine, the Administration of State Security of Ukraine, the Ukrainian Volunteer Corp “Right Sector”, Battalions Azov, Donbas, Holy Mary, Aidar and others including over 500 cadets in the senior classes of Ukrainian military academies. 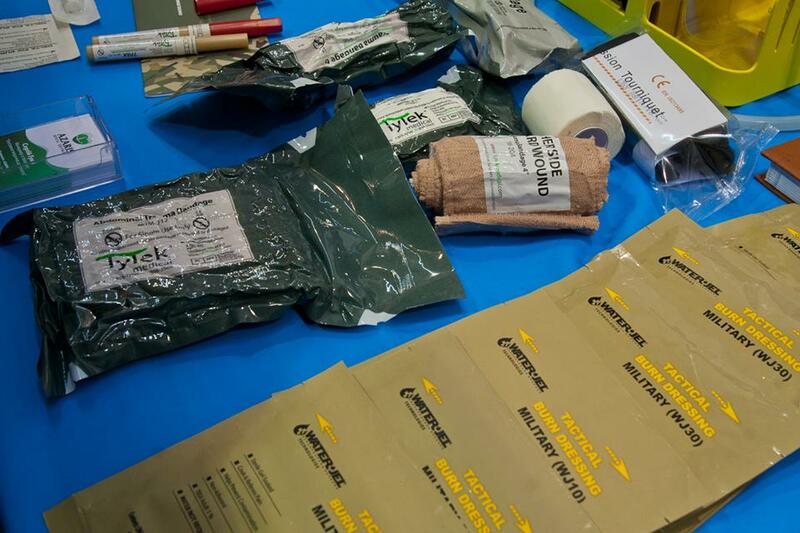 We have distributed 9764 NATO standard individual first aid kits. Yet, given that there are over 20 thousand Ukrainian warfighters actively deployed in the ATO, this is simply not enough. All of them need to be trained in CLS and TCCC, given the lack of adequate life saving equipment, like the combat application tourniquet. That equipment together with professional training in the algorithm, CABC will save lives. 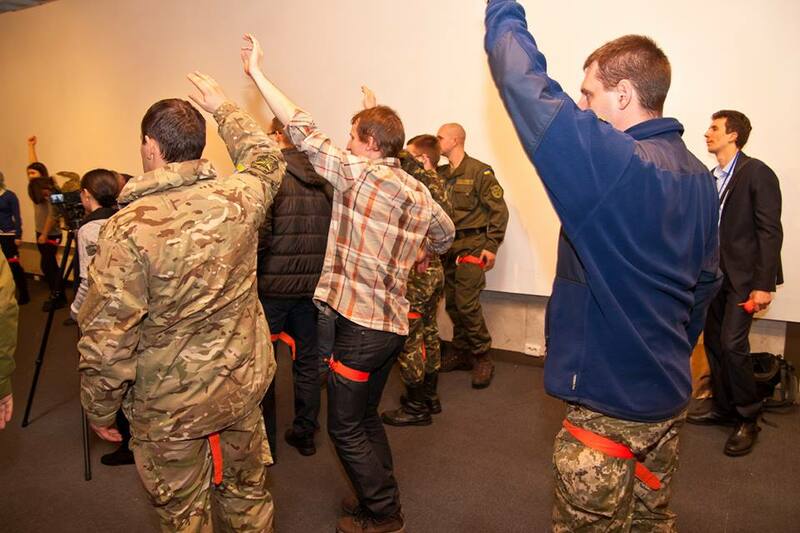 Over the course of the training program, 147 Ukrainians have been trained as Combat Lifesaver instructors by specialists certified according to international standards. Of these, 92 were military, 55 civilian. Recently the chair of the committee on public health in Ukraine’s Parliament and Honorable doctor of Ukraine Dr. Olha Bohomolets came to us with a request to organize three day Combat Lifesaver courses for the graduating classes of all of the military institutes and academies in Ukraine. 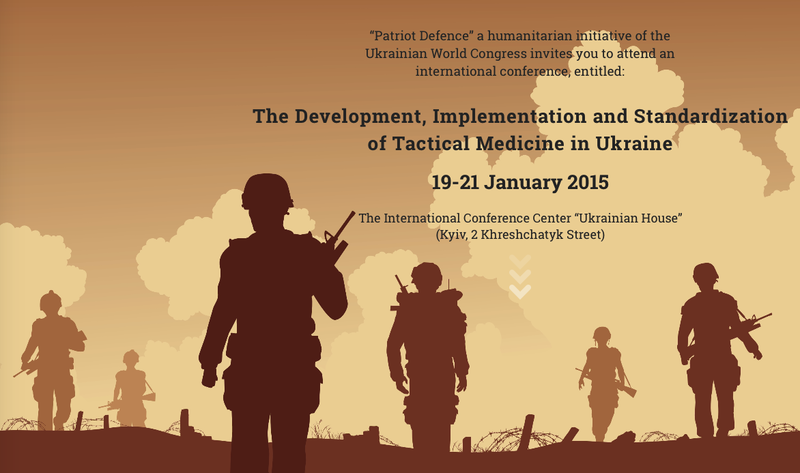 That program commences on Jan 22, the day after this conference ends, and will provide the new generation of Ukrainian officers with training in tactical medicine. 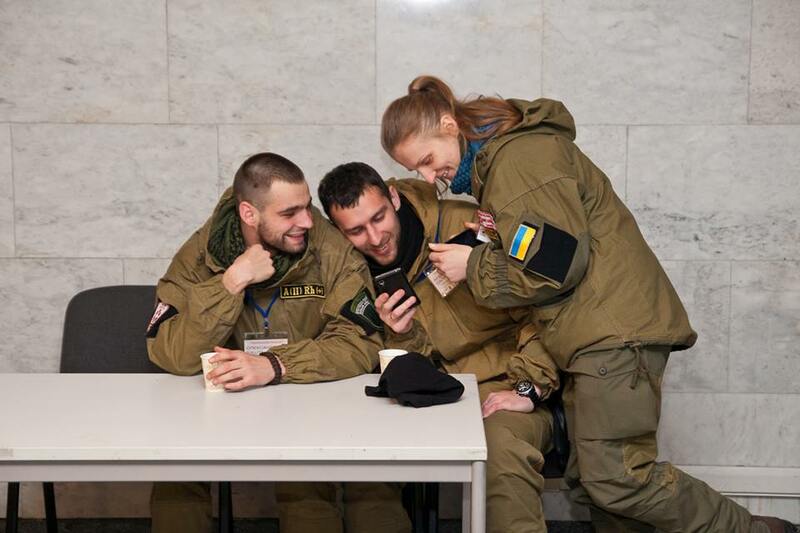 Our organization’s achievement is but one example of the tremendous contribution of the individual volunteers and organizations toward preparing, training and supplying Ukrainian warfighters from all agencies. De facto, Ukrainian volunteers and volunteer groups have been much more effective in providing materiel support for those men and women defending Ukraine today, especially in the areas of medical aid, including teaching combat medics and warfighters in tactical first aid, providing individual first aid kits and evacuation care and treatment in hospitals. Volunteers are currently also providing psychological and physical rehabiliation for Ukrainian warfighters. Certain security agencies, like the Security Service of Ukraine, the State Border Guard Service and the Administration of State Security have understood the importance of tactical medicine and are working toward implementing an ongoing-continuous training program for their members and medics as well as ensuring that their members are trained and receive first aid kits. But until all security agencies give top priority to tactical medicine, that is, on the same level as modernizing their battle-readiness, without enormous effort and constant attention, tactical medicine will remain in its current implementation. Modernization of the Ukrainian Armed Forces does not begin with new equipment but instead begins with new and current training methods. The events over the past few days in the Donetsk Airport have shown that we still have not been able to create a system that operates effectively and automatically without direct intervention by top officials. Instead of wasting valuable time and energy, fragmenting resources, both financial and human on a chaotic system of evacuation, purchasing that which is cheapest rather than that which is most needed and of the highest quality, and always scrambling at the last moment to find where, how and who will provide treatment for the wounded, let us step back for a moment and think about planning a new and effective system. Let us take the best examples and experience from other countries that have gone through the painful evolution of tactical medicine and create a uniquely Ukrainian system founded on evidence-based medicine – specifically Tactical Combat Casualty Care (TCCC) that has been accepted as the gold standard of tactical medicine by the United States and NATO member-countries. Ukrainian warfighters find themselves in situations everyday in which a basic knowledge of tactical medicine could save their lives or the life of their buddy. I encourage you, conference participants to take an active part in the panels and discussions. Your proposals will form the basis for the resolutions and a plan of action that will help in the development, standardization and implementation of tactical medicine in Ukraine. This entry was posted in English, English News, Help for ukrainian army, Pictures, War in Donbas and tagged #RussiaInvadedUkraine, #StopRussianAggression, #UkraineUnderAttack, #Ukrainian World Congress, Dr. Olga Bogomolets, Dr. Ulana Suprun, Paramed CZ, Patriot Defence, Tim Cranton, Ukraine. Bookmark the permalink.